50th wedding anniversary cards that you can find online and look good can be a tall order, so we thought it would be a good idea to find the good ones for you! After all if you are looking for anniversary cards online you are either running a bit short of time or you are looking for something that is unique and that you can personalize. One sure way to send a very unique anniversary card is to either make it yourself or find someone to make it for you! Thankfully making cards is a big hobby and there is a lot of choice. Etsy and Ebay are two places that you will find homemade cards, make sure you are happy with the quality as some of the designs can be a bit old fashioned. Zazzle - lots of personalized 50th anniversary cards where you can add your own photos. Etsy - lots of gorgeous hand crafted and designed cards. 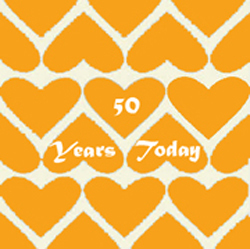 Also, have a look at our free printable 50th anniversary cards, click and print and you are ready to go! Here are some of our finds that we wanted to share and that you will be able to personalize - don't worry it isn't difficult, just follow the instructions and you are away. 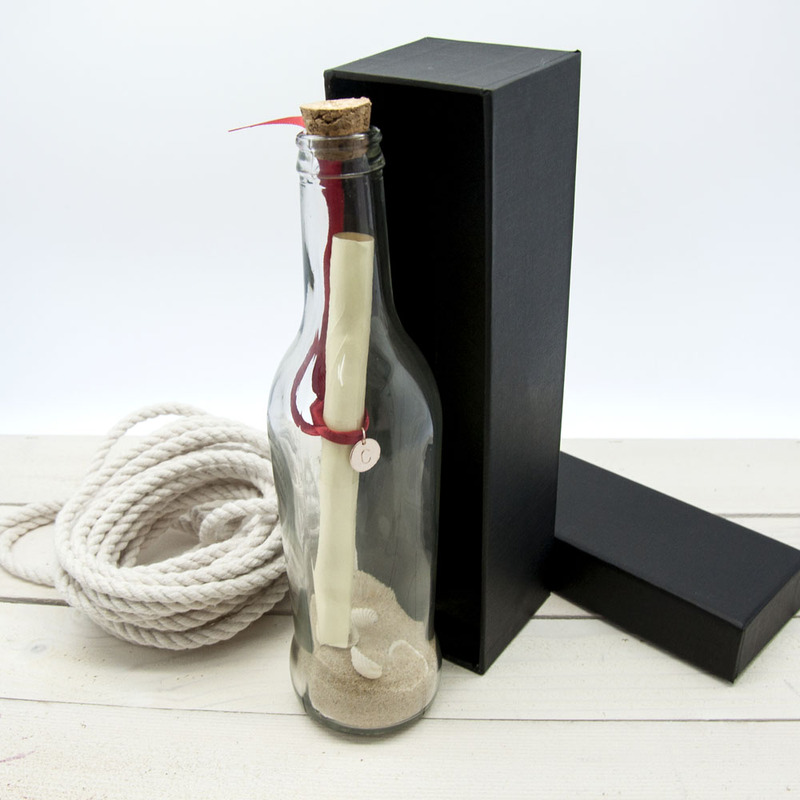 Another very unique way to send a 50th anniversary message is in a bottle. Your 50th Anniversary message will be printed on to the finest paper and then wrapped and tied with a ribbon. Their initial is then engraved on to silver or gold and tied to the ribbon, so your love knows that the message is just for them. It is then added to your bottle, along with sand and shells and boxed and sent to your love.